Hope your week end is going well, i'm pretty bored by Paris at this time, probably need some coconuts Life or some changes. many of you asked me on instagram where is my skirt from, Its a vintage Good find ! But i did find a pretty one for you here. i wear it with large blue shirt from Oysho or a black cropped top from Topshop here. i Love when clothes matches with everything ! That skirt is simply amazing, love both looks so much ! You are bored of Paris ?but you are most of time on holidays!!No? 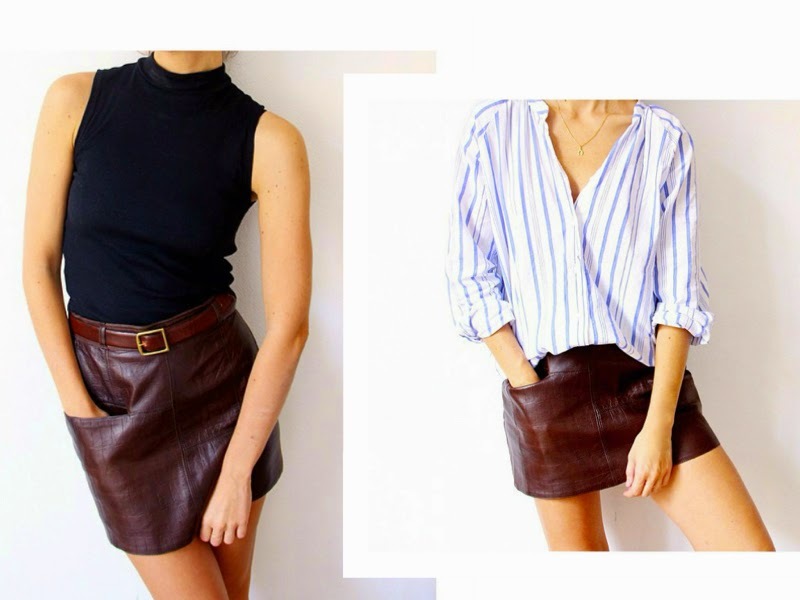 I was going to buy a black leather skirt but I think you have changed my mind!